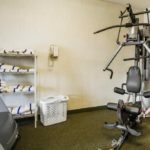 Comfort Inn & Suites: DeForest, WI featuring the North Star Conference Center | Cornerstone Hotel Management, Inc. 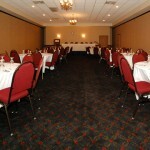 The newly opened Comfort Inn & Suites is your one stop shop for business or pleasure. 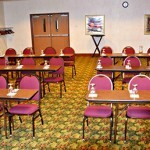 This 79 room hotel conveniently located adjacent to I-90/94/43 also features the North Star Lounge. 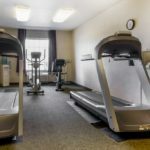 The picturesque setting of this hotel gives you the urban feel while enjoying rural Wisconsin. 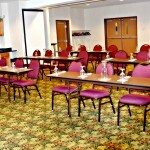 The North Star Conference Center is the premiere and fashionable place to hold your conference functions. 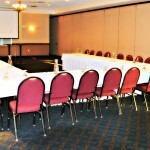 The hotel boasts over 4,000 square feet of meeting space. 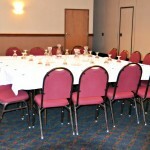 Whether you need room for two or as many as four hundred, the North Star Conference Center is the place to be. Whether traveling for business or pleasure, we guarantee your stay will be a good one. 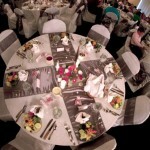 The beautifully appointed hotel will take your breath away from the moment you drive in.